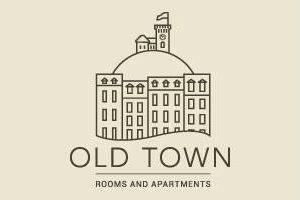 Old Town Rooms and Apartments is a new accommodation in the heart of Ljubljana's historic center. It is situated on Ljubljana's favorite river bank promenade across from the old market and 100 meters from the main square Prešernov trg. The comfortable and spacious room is a perfect place for singles, friends or couples looking to stay in the very center of Ljubljana. You can choose to have a large double bed or two single beds. The room opens onto a common outdoor patio where you can relax and enjoy a cold beverage. Kettle with complimentary coffee and tea. Ideal for couples, families with children or a group of friends, this 40 m² and fully equipped kitchen and can accommodate up to 5 persons. The bedroom is equipped with 1 double bed and 1 single bed while the living room has a sofa bed that can sleep two. This small apartment of 33 m² has a separate bedroom and a small kitchen and can accommodate up to 4 persons. It is located on the ground floor and opens onto a common outdoor patio where you can relax in the center of town and enjoy a cold beverage.